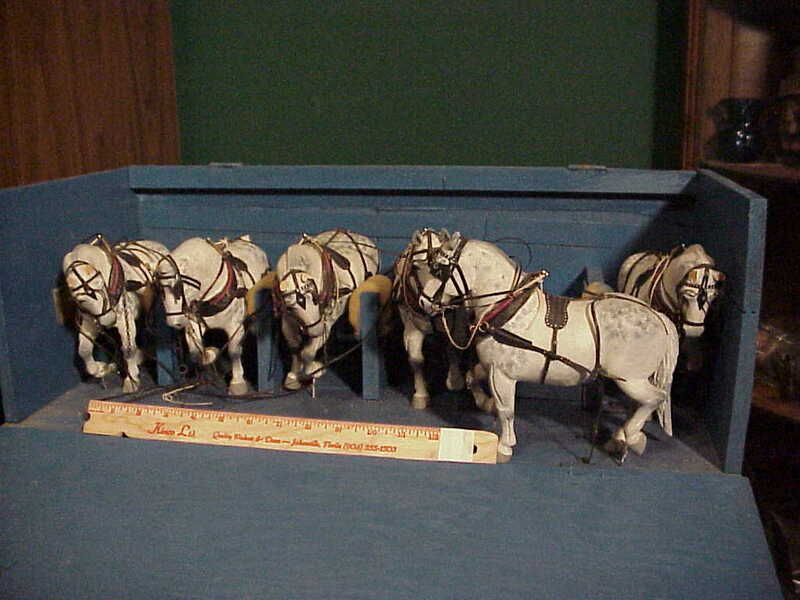 Offering six wooden hand carved circus horses with original leather horse harness and gear. 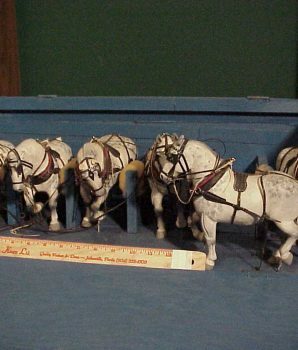 The horses stand approximately 7 in tall. They are a beautiful work of art. Appear to be Clydesdales type horses. A great circus item. Included an original caring case for the six horses.